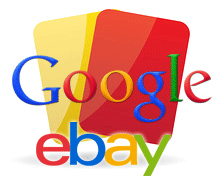 As you know, eBay was penalized by Google either via a manual action or algorithmic action or both. Google and eBay won't confirm it, but it is clear from the SearchMetrics charts. The reason for the penalty is not 100% clear, a site like eBay likely had lots of issues with the site. But there are also a lot of theories out there. Some citing that eBay stopped AdWords ads and thus this is the way Google is going to get back at them. eBay 1 Year After Dropping AdWords: Pay up or get booted. I don't think I have seen a more egregious case of Googles complete duplicity and lack of transparency in it's search methods. I think it clearly sends a signal to others that if you want organic results, you have to "pay up" or you will be booted. Why did Google wait a year according to Tabke? Yes. They needed ye Old plausible deniability after ebay has been running AdWords for almost 14 years. I've heard it is well over a billion that they spent. Of course, not all agree with Tabke's theory but many do. Do you think this is Google's ad side connecting with the organic side and pay back on that?